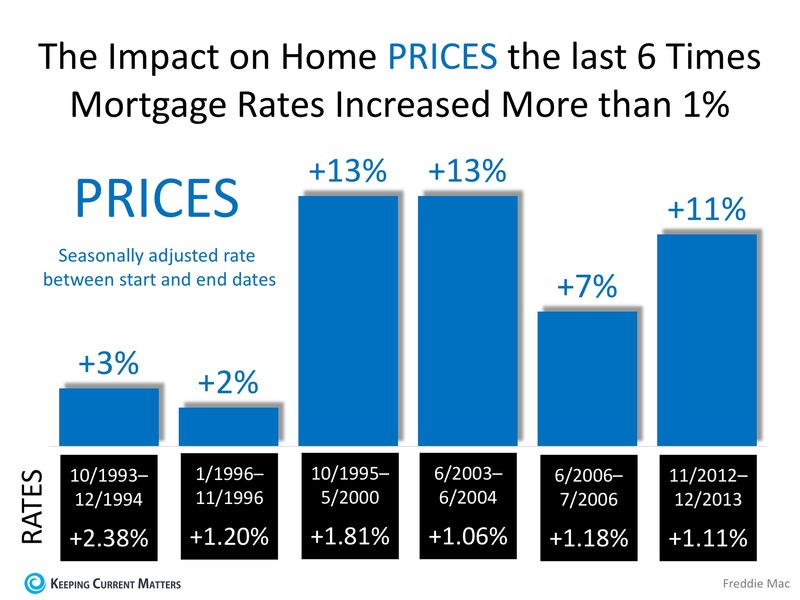 Freddie Mac – Rising Mortgage Rates DO NOT Lead to Falling Home Prices! Whether you are a move-up buyer or first-time buyer, waiting to purchase your next home based on the belief that prices will fall because of rising mortgage rates makes no sense. Contact us if you’d like information on the value of your current home, or have questions about the impact of rising interest rates on your future investment.